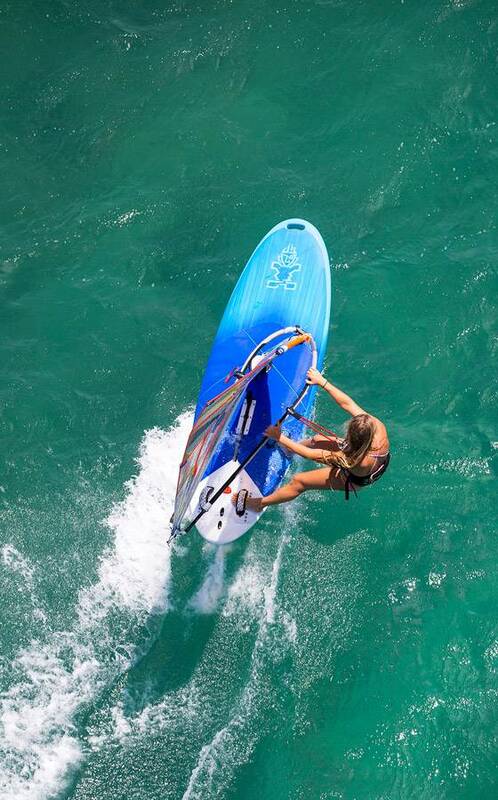 The GO Windsurfer is a variation of our iconic GO series. 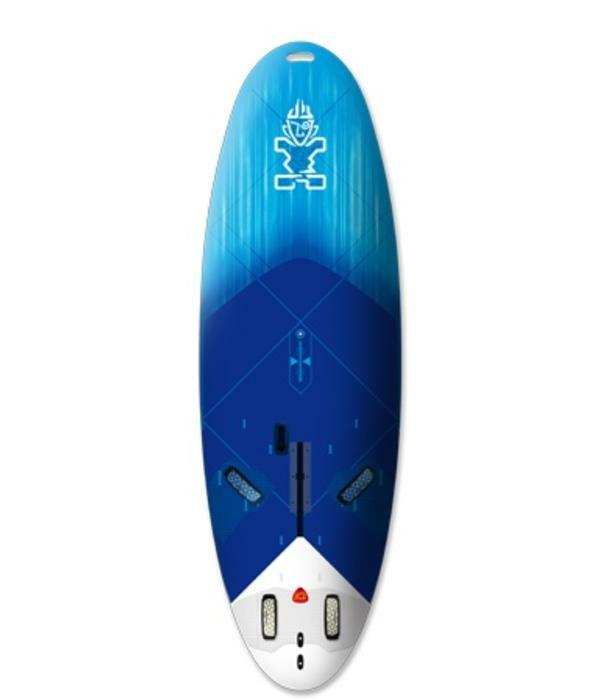 Instead of a centre fin box, the GO Windsurfer has a fully retractable daggerboard that makes it easier to stay upwind and learn to windsurf, while being more versatile from light to windy planing conditions. These new shapes have a lower, highly efficient rockerline. 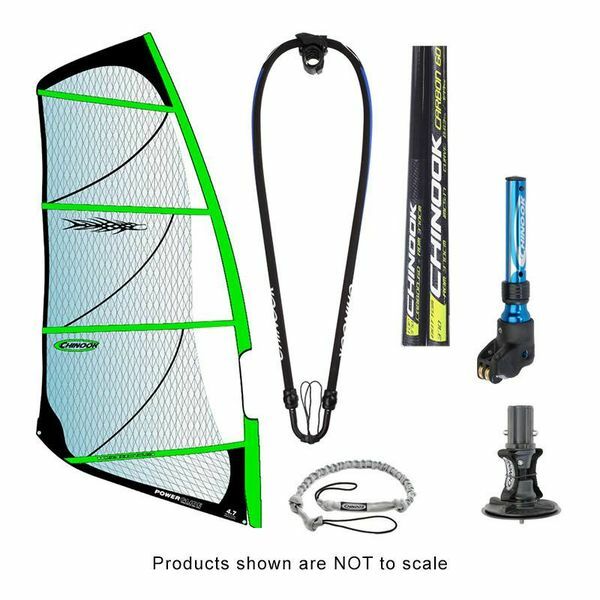 This low rockerline allows the GO Windsurfer to glide smoothly and fast in light winds, with lots of longitudinal traction. It also lets the board accelerate onto the plane smoothly and more easily than before. The volume distribution is also more even now, giving the board more longitudinal stability. The large soft EVA deck is comfortable for your feet, knees and elbows. The grip without the cuts or rashes. 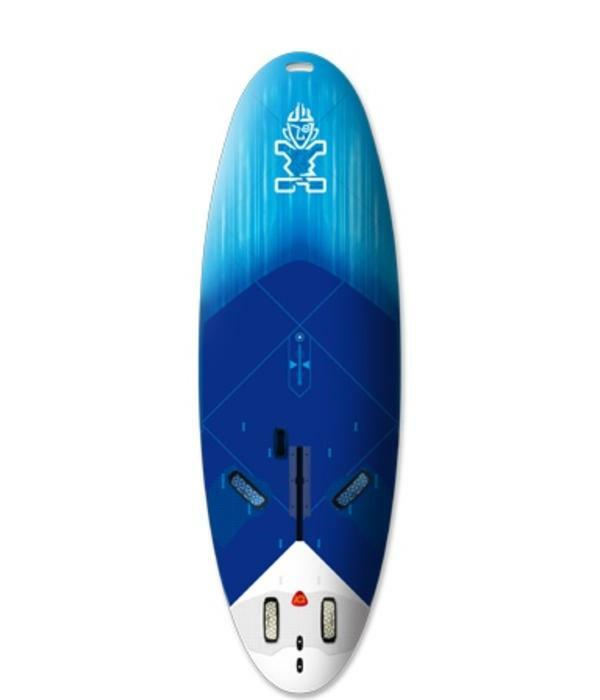 It’s raised above the edges of the board to allow water to flow freely around the board and jibe smoothly without drag. 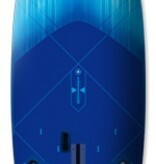 The GO Windsurfers have new foot pads with a new square grooving pattern that is more comfortable and durable. 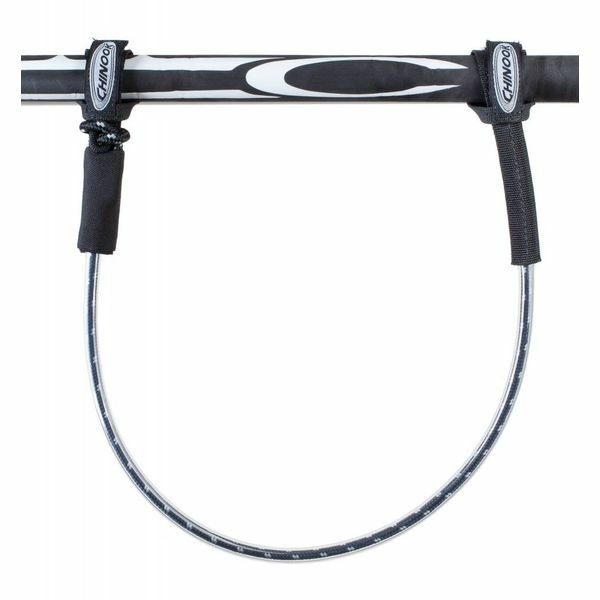 There are footstrap positions for all levels of riders, from the entry level inside positions to the outside expert positions. They’re also fitted with the next iteration of our Drake Slick footstraps, which are narrower than the Drake Wave straps and feature size indicator tabs for easy size adjustments. 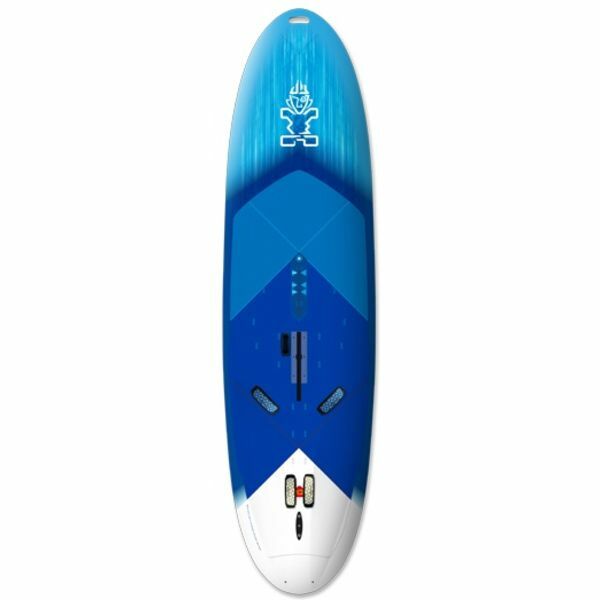 For 2017, the GO Windsurfers have been upgraded to our new 3DX construction. 3DX stands for three dimensional biaxial glass microsandwich construction. Both deck and bottom are wrapped in 45 degree biaxial glass fiber wetted out with an expanding foam epoxy cured under high pressure. The biaxial glass gives a crisp, stiff feel with flex for choppy conditions. The foam epoxy creates a 2mm skin thickness for a microsandwich effect: tough and strong. Weights are +/- 5%, except for ASAP, Starlite, Starshot, ArmourTech and Inflatable technologies that are +/- 6%. Weights are estimates, use for indicative purposes only.